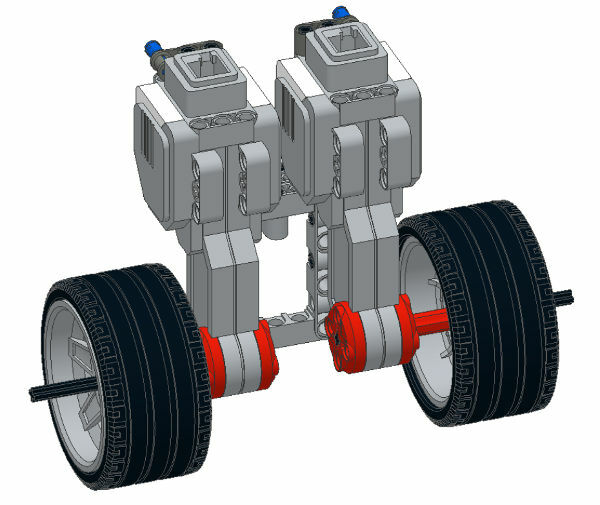 Many LEGO Mindstorms robot constructions use two rear wheels controlled by two different motors. Students are used to this kind of construction. The differential is a little bit more abstract and difficult to understand and use properly. Based on a request we have decided in this video tutorial to show the Big Daddy construction implemented with two rear motors and one front motor. Programming this construction would be challеnging so we have prepared a challеnge (see the task). We've separated the BigDaddy robot into a few smaller modules. This teaches modularity and gives you the option to reuse some of the modules and to look at specific modules. 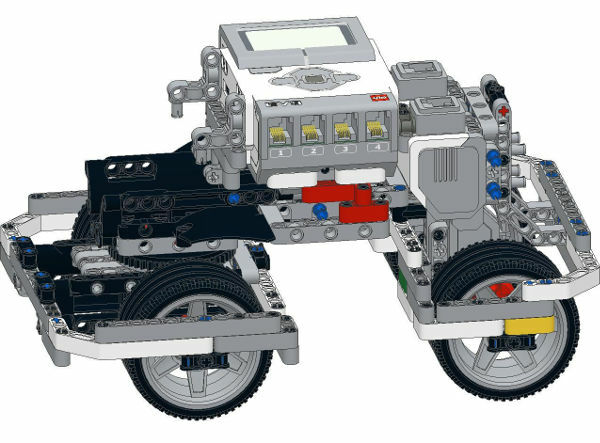 How would you program this LEGO Mindstorms robot to move? It probably requires controlling the three motors in parallel. Use the task in your classroom, for your team or at home to set a challenging programing problem. - Based on your comments, we've decided to do an experiment on our BigDaddy construction and to try to add two motors at the rear part that will transfer power to each of the wheels, and one motor at the front that will turn the front part of the robot. In today's video, we're going to construct the robot and see how it works. First, I'll start with two EV3 motors that we'll attached to the wheels. And wheels, again the large wheels from the EV3 sets. Let's attach the first wheel. The second one. The challenge here with such large constructions is how to have the same distance between the rear wheels as in the front wheels like here. So, we must find the way to position them and to have the same distance. We'll add this grey frames. Now add one grey frames-, grey frame at the back with the blue pin here. And now we have the two wheels attached to the motors. And if we measure distance, we can see that distance between the front wheels is the same as the distance between the rear wheels. But this construction is not very stable because we have the motors attached only one place. And as you can see it's quite fragile. And again, we add a second frame to the other side of the motors. And now we have a much more stable construction. This is how the construction will look at the end. You'll have the front of the robot and the rear part of the robot with the motors. In the next step, I've already prepared the frame around the wheels. 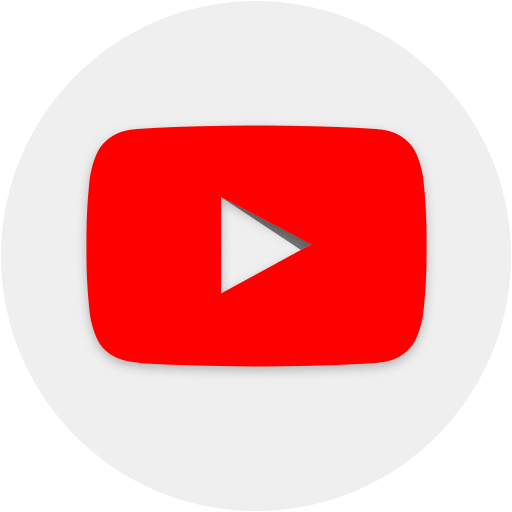 You can find the instructions for the frame below the video. I'm not going to construct it, the whole frame. But as an end result, we must add the frame around the wheels. And this way we can use the frame to align, to attach attachment, to protect sensors and the other interesting things we're talking. And now we have the frame. The frame is attached only on two parts, two sides. Here on one axle and here on the other axle. And as you can see it is moving. As a next step, we must attach the frame to the motors and make it stable. Thank you Komolov Pavlo who came up with a number of solutions. But we like always the solutions that use as few parts as possible. And we've done this module that we attach to the frame. Here on the right frame and then to here. And now we'll just click and the frame is attached. Again the frame is attached only one part of the motors and we must also attach the frame to the other parts to make more stable. This is the module that we're using. It's not very complex. It's again, angled beams, some pins. We add this angled beams to the frame. We have our motor at the front and we can transport power to this motor from the brick and will turn the front part of the robot. And we have the rear part of the robot with two EV3 motors. Each motor is attached to a wheel. And the whole construction is much more stable. And it's kinda interesting. Now something that's . . .while experimenting with this robot, we found out that it's a-, it's quite easy to detach the whole construction and we've decided to do a little hack. And you might see these hacks in different situations. Especially when you have such robots that you're experimenting. But let's just know that our hack is just two pins and the one small pin. And they should be attach to the really difficult place right here between the motors in order to improve the stability and to be difficult for the motor to break. And we didn't, so it's . . .initially. But after a few experiments we saw that this part is actually needed. You will find it in the constructions. And let's try to add it. This is the part. Right-, right here. See? And as a result, we have our BigDaddy construction with the two motors and very modular construction. We can deconstruct and construct it in different ways. In the next video we will probably continue with how we program this robot and we'll think of some very interesting tasks for you on how do you experiment with this robot. Box Robot Two. Use of the three LEGO Mindstorms EV3 motors.